Existent in all colours, but best known in blue colour, which is the most popular. Traditional occurences in Burma, Sri-Lanka, Thailand, Australia and Kashmir (very limited). A couple of years ago East Africa and China turned up with Sapphire supplies. Only recently Madagascar came into scene and today is one of the most important supplier of medium to fine qualities. 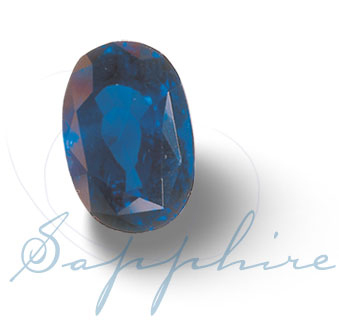 Sapphires from Burma (now Myanmar) in fine qualities are among the most sought for.